Call Allied Paper Savers today to learn how to turn your fibre recycling into cash! private businesses, and the public. With our large variety of business partners, Allied Paper is able to provide competitive rebate rates for all recyclable material. For your convenience and reassurance, our large 80 foot truck scale is Government Certified and open year round. our friendly staff is here to help. We offer bin rentals and hauling services. your job a little easier. 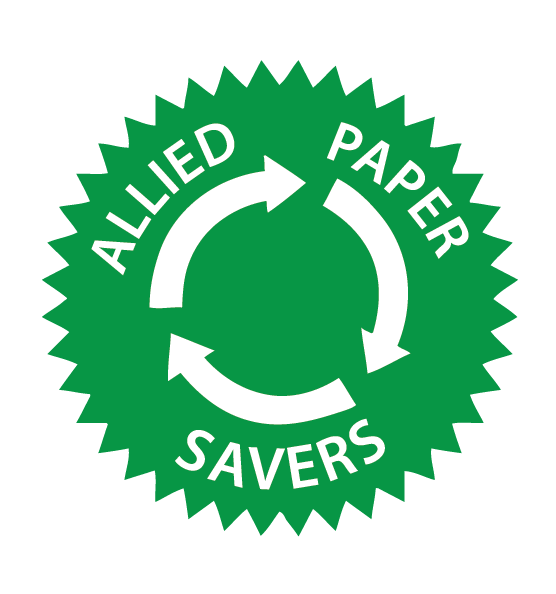 Allied Paper Savers has been collecting, receiving, purchasing, and processing recycled material for over 30 years. What Should I Recycle at Home? We are open to the public! Bring your recycled materials to Allied Paper and we will give you money for them. Click on the What We Recycle page to learn what you can bring in to us for competitive rebates. Allied Paper Savers always offers very competitive rates for recycled fibre, and can reduce your overhead costs or in most cases, even help you turn a profit from your recyclable materials. Contact us today for a free consultation! If you’re looking for a way to generate income for your organization through a recycling drive, we can give you support and extremely competitive rates for your recyclable materials. Call us today to find out how. With our over 30 years of experience, Allied has the know-how and the ability to leverage our many partners to provide you with a low-cost solution for demolition waste and hauling. Don’t hesitate, contact us today and our friendly and knowledgeable team will help you on your way.